When you go to the website of guitarist/composer Miles Okazaki, one can get lost in his explanations of his music. When you listen to his new CD, "Figurations" (Sunnyside), one can lose him-or-herself in the impressive musicianship, the strong interplay and how each musician gives his all. 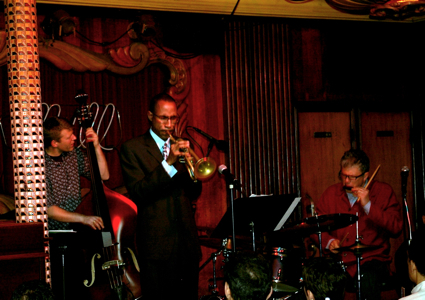 Recorded live at The Jazz Gallery in New York City in June of 2011, the music features the quartet of Okazaki, Miguel Zenon (alto saxophone), Thomas Morgan (bass) and the electrifying percussion of Dan Weiss. Zenon and Weiss have appeared on all 3 of the guitarist's recordings and what is noticeable over the yeas and the session is how they maintain their individuality in the different settings. The saxophonist can and does play with great celerity yet there is always a clarity to his notes. He and the guitarist fly over the persistent rhythm section on "Rain"- Okazaki and Weiss then "converse" while Morgan, as is his style, is the foundation of the music. The bass solo that opens the title track is slow and thoughtful, filled with little silences that make the melodic fragments stand out. He picks up the pace for the main body of the track, an insistent piece built from Weiss's powerful (yet neither nor ponderous) rhythm force. The guitar solo blends element of bop figures with the melodic experimentation of John Coltrane, repetitive figures that move in and out while building intensity. 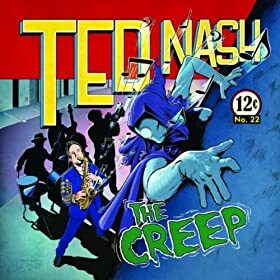 Weiss plays with the tempo, dropping out at the beginning of the saxophone solo then returning with a (rhythmic) vengeance. The drummer takes the lead on "Mandala", a composition that accentuates his ability to be both a rhythmic and melodic force. Zenon, who is a powerhouse throughout, truly shines on "Corazon", where (like the drummer) he not only displays a fine melodic sensitivity but also displays a strong percussive side. Okazaki, even on the uptempo pieces, moves the songs forward on the strength of the melody. Like Zenon, his solos often have a forceful percussive edge (reminding this writer of Larry Coryell and Joe Morris, both players who can "speak" volumes without a high level of volume.) Though his music has an intellectual structure, the musicians play with such joy and emotion that it is easy to fall under the spell of "Figurations". And, this music benefits greatly from being recorded in a "live" setting - one can truly feel that Miles Okazaki and company connected with the audience (which is what all music should do, make connections on many different levels.) For more information, go to www.milesokazaki.com. 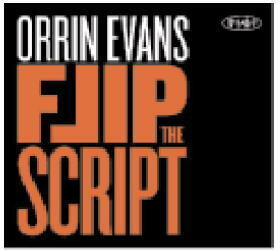 Pianist-composer Orrin Evans makes music that can be confrontational, hard-edged, and vigorous yet has a melodic side that, like Charles Mingus, allows his pieces to go in many and varied directions. Evans has released a series of CDs on Posi-Tone Records that displays his many talents, from the forceful Captain Black Big Band to the trenchant sounds of Tar Baby (with the dynamic rhythm section of bassist Eric Revis and drummer Nasheet Waits) to his celebration of Philadelphia on "Freedom" to his tribute to saxophonist Bobby Watson on "Faith in Action." His new CD, "Flip The Script", leans more towards the aggressive (in a good sense) nature of Tar Baby, thanks (in part) to the work of bassist Ben Wolfe and drummer Donald Edwards. Evans, to me, is a 21st Century Jaki Byard, someone who knows his history, understands the roots of jazz and is not a slave to tradition. At times, I hear the influence of Bud Powell in the forward motion of his solos (especially on the faster songs.) And, on ballads, such as "Someday My Prince Will Come", there is a "painterly" touch to his delicate phrases, a sensitivity that embraces the quiet side. 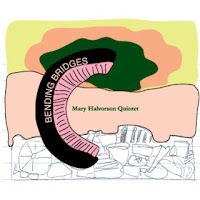 Friday May 18th marks the 9th appearance of guitarist Mary Halvorson at Firehouse 12, 45 Crown Street in New Haven (only the 2nd as a leader - her quintet first appeared here in December of 2009.) She returns as one of the bigger attractions in creative music, known for her work with various ensembles led by Professor Anthony Braxton as well as with Jessica Pavone, Taylor Ho Bynum, Myra Melford, Matana Roberts and others. Her Quintet - Jon Irabagon (alto saxophone), Jonathan Findlayson (trumpet), Stephan Crump (bass, subbing for John Hébert) and Ches Smith (drums) - is adept at negotiating the various twists-and-turns that Ms. Halvorson creates for them. Hers is music that shouts, screams, whispers, rocks, caresses, frolics and goes in unexpected directions, often within the song. This New Haven gig celebrates the release of "Bending Bridges" (Firehouse 12 Records), an exciting recording that jumps out at the listener from the opening moments. "Sinks When She Rounds The Bend (No. 22)" has a theme with melody lines for the trumpet and saxophone with a guitar counterpoint. Smith's conversational drums offer a 3rd counterpoint as the piece builds, erupting after the bass solo with distorted guitar driving up the intensity level. There is a "pop" feel to the opening rhythms of "Hemorrhaging Smiles (No 25)"that quickly give way solo sections for the rollicking Irabagon, melodic Findlayson and, later in the song, a fine trio-logue between guitar, bass and drums. One of the finer aspects of this music is how seamlessly any and all influences are woven into the fabric of the tunes. The trio track (no sax or trumpet) "Deformed Weight of Hands (No. 28)" sounds like James "Blood" Ulmer blended with Henry Threadgill and a dab of Captain Beefheart thrown in. 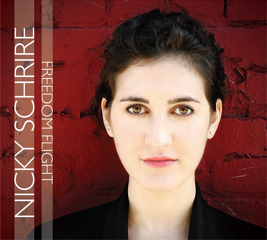 This music may not "swing" in conventional but the forward motion is, at times, irresistible. 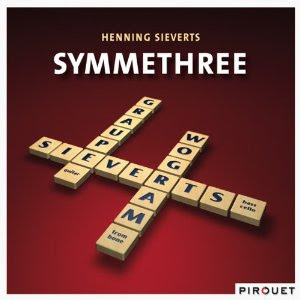 Tempos rarely stay constant through the songs; yet, when Smith and Hébert lock into a groove (like they do on "All the Clocks (No 29)", the music soars even more. Even the ballad "That Old Sound (No. 27)" (another trio track) has amazing tension and intensity. Vibraphonist Joe Locke and pianist Geoffrey Keezer have worked together on a number of projects over the past decade, none more exciting than their quartet with bassist Mike Pope and drummer Terreon Gully. "Signing" (Motema) is this band's 2nd CD; powered by the mighty Gully and underpinned by Pope's burbling and thick-toned bass, the music soars and swoops, at times stopping to take its musical breath with melodic ballads such as their version of Imogen Heap's "Hide and Seek." 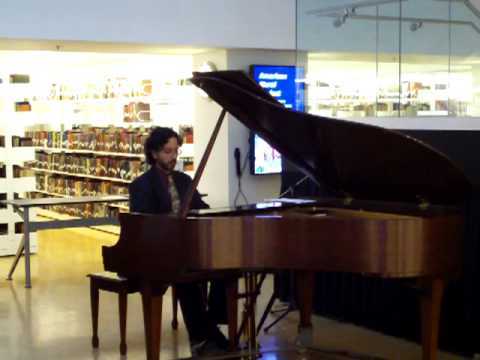 Keezer's piano work is full of melody, rhythmically sharp, with delightful solos and intelligent accompaniment. Over the course of his career, Locke has played in many different settings, from duo with Frank Kimbrough to larger group settings. He also writes fine melodies, creates smart arrangements and is a knock-out soloist. Among the highlights is the fine re-arrangement of John Coltrane's "Naima". Originally arranged for the Scottish National Jazz Orchestra, the voicings translate well to the quartet setting (Keezer's chordal work behind Locke is full and melodic while his solo is moves artfully between chords and single-note runs.) A strong gospel/soul music influence can be detected on the lovely Locke composition "This Is Just to Say" - the rhythm section plays so calmly, Keezer's keys fill the background and Locke creates a lovely melody, then a fine solo. On the uptempo pieces, the rhythms section is equally impressive. Gully gets into the groove on "Darth Alexis" opening up the possibilities for Pope to really create counterpoint beneath the soloists. It's fun to hear the bassist and Keezer's left hand patrol the lower end. On the title track, Keezer's ringing piano chords float atop and then alongside the bass lines. Most apparent from the opening moments through to the quiet finish, "Signing" is a group recording. Yes, the compositions and arrangements are top-notch but it's the interactions throughout that truly make this CD shine. For more information, go to lockekeezer.com. Here we go, another recording of music by Thelonious Monk. 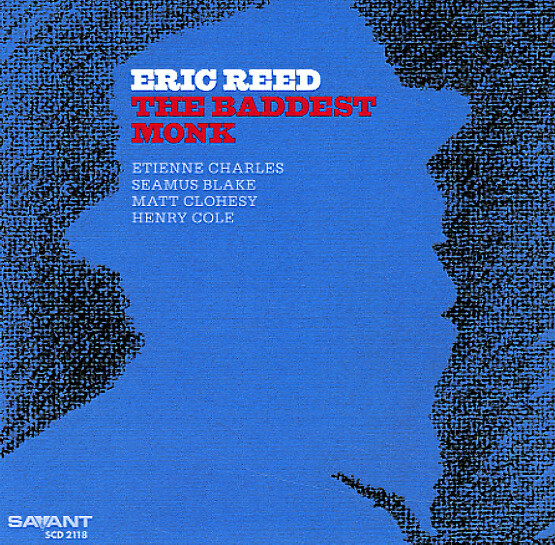 Yet, do not ignore "The Baddest Monk" (Savant Records), the latest release from pianist Eric Reed. Yes, there are tunes here a true jazz fan has probably heard a hundred or more times; still, I would not hesitate to whole-heartedly recommend this gem of a CD. First of all, there's the rhythm section of Matt Clohesy (bass) and Henry Cole (drums) - they are not only supportive but fine soloists and really good listeners. Second, the front line consists of Seamus Blake (tenor saxophone) and Etienne Charles (trumpet). The blend of Blake's sweet yet muscular tenor with Charles' crisp, clear tones is a treat on the tracks on they are appear. Third, Eric Reed's arrangements and inspired piano playing is a delight throughout. There's more than a hint of New Orleans on several tracks, including the opening "Rhythm-A-Ning". The structure allows for short statements by Blake and Charles that cap off each verse of the piano solo. Reed's original "Monk Beurre Rouge" blends the Crescent City feel with lines from several Monk tunes for a sweet. slow, blues (fine solos from Clohesy and Blake). Cole and Reed do a delicious dance on "Green Chimneys" with Clohesy moving in and around their conversations. Those joyous interactions carry over to another trio hit, "Evidence", which swings with intensity with a fine Cole solo. Right in the middle of the program, Reed and guest vocalist Jose James create a smoky version of "'Round Midnight." This version sounds influenced by Gershwin's "Summertime" but the interplay of James' voice with the piano is impressive and Reed's solo (without a steady rhythm hand until near the end) stands out. None of these players treats this music as museum pieces. In fact, in Eric Reed and company's hands, Thelonious Monk's compositions sound fresh and downright fun. For more information, go to www.ericreed.net. The Uncertainty Music Series, created and curated by composer Carl Testa, welcomes the Scott Clark 4tet to Elm Bar, 372 Elm Street in New Haven on Wednesday May 9 for a 9 p.m. show. 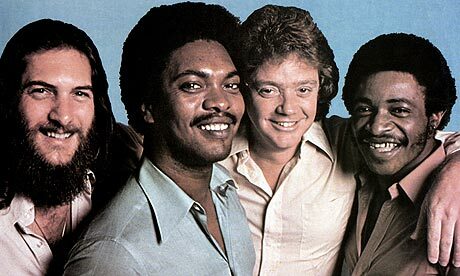 Last week, I wrote about the group, led by drummer-composer Clark and based in Richmond, Virginia, and, since that time, have had the opportunity to hear the recording that is in search of a label. 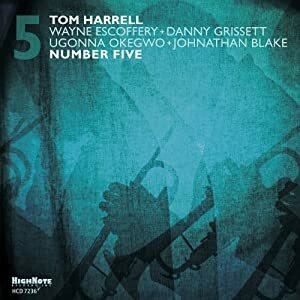 The 4Tet's music is fiery, punchy, thoughtful and thought-provoking and, at times, great fun. Composed of drums, bass, saxophone and trumpet, the music has its roots in the experimentations of the Ornette Coleman groups of the late 1950s and early 60s. But, Clark is definitely the leader, with many of the songs building up from the drums (setting the pace and the mood). All the members are fine soloists and this is music with plenty of substance and little filler. According to Clark's website (scottwclark.wordpress.com), the second set "will be the second performance of our suite of music based off of the book “Bury My Heart at Wounded Knee” by Dee Brown and on my own research into my family history." On Saturday evening May 12, the Series moves to Neverending Books, 810 State Street in New Haven for a performance by the duo of Christopher Riggs (guitar) and Carl Testa (bass, electronics). The sounds commence at 8 p.m. To get a taste of the duo's collaborations, click here. For more information about the series, go to uncertaintymusic.com. Those of us who love adventurous music have a difficult decision to make on Friday May 11. We must go to New Haven and choose between Matt Wilson's Arts & Crafts (performing at 8 p.m. in Yale University's Morse Recital Hall, 470 College Street or Michael Bates Acrobat: Music By and For Dmitri Shostakovich at 8:30 p.m. in Firehouse 12, 45 Crown Street. Drummer-composer-educator Wilson and A&C are the concluding concert in the 2011-12 Ellington Jazz Series at the University's School of Music. The group includes Michael Rodriguez (trumpet, subbing for Terrell Stafford), Martin Wind (bass) and Gary Versace (piano, organ, accordion.) "An Attitude for Gratitude" (Palmetto Records), the band's 4th CD, continues Wilson's quest to create music that is approachable without being sappy or programmed. To find out more about the concert, go to music.yale.edu or call 203-432-4158.
music the bassist composed after studying the 20th Century Russian Shostakovich (1906 - 75). The latter was quite a figure in the last century, creating music that reflected the changing society in which he lived. Much happened to him and around him and he often had issues with the Soviet officials. On one hand, he composed "serious" music, filled with myriad influences (and certainly some of them were European) but also felt forced to compose "nationalistic" works. By the early1960s, Shostakovich wrote darker works, including his "13th Symphony - Babi Yar" based on the poems of Yevgeny Yevtushenko that look at the oppression and slaughter of Russian Jews. Bates' music makes great use of Lossing's atmospheric Fender Rhodes, Sarin's explosive drumming and the blend of reeds and brass. The music can be quite serious; yet there is also a playful edge to certain pieces. Jazz lovers will enjoy the interplay, the melody lines played by 2 or more instruments that come together and move apart. Bates and Acrobat play 2 sets, 8:30 and 10 p.m. - for tickets and more information, go to firehouse12.com or call 203-785-0468. This Saturday (May 12) at 2 p.m., Joe Morris (guitar) and Stephen Haynes (trumpet, cornet) present "Improvisations VIII", the latest in the duo's ongoing series at Real Art Ways, 56 Arbor Street in Hartford. Joining them will be Jason Kao Hwang (violin, viola) and New Haven resident Nathan Bontrager (cello). 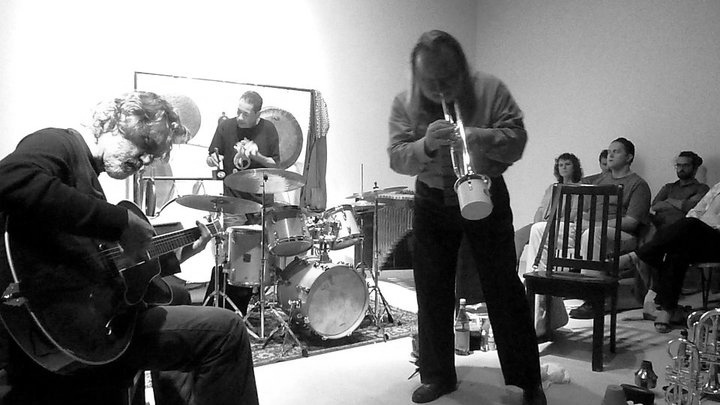 Hwang has been active of the jazz/new music scene for 3 decades, working with artists such as Professor Anthony Braxton, Henry Threadgill, and bassist William Parker as well as leading or co-leading numerous ensembles (several that feature New Haven-based cornetist Taylor Ho Bynum.) Bontrager just played this past weekend as part of Broadcloth (in the Uncertainty Music series) and in the ensemble behind vocalist Anne Rhodes. For more information about "Improvisations" and ticket availability, go to www.realartways.org. Pianist Bill Carrothers makes his home on the Upper Penisula of Michigan, not a place to settle down if you plan on pursuing a busy career in music. But, busy is in the eye and mind of the beholder. Mr. Carrothers has a wicked sense of humor which is on display at his electronic home - www.bridgeboymusic. His CDs range from trio explorations of the music of Clifford Brown to songs from the Civil War played as solo piano pieces to larger group takes on the songs from World War I. All these creative efforts do not make for great commercial success. Yet, I'll lay odds Carrothers does not really care about the hoopla of success. His new CD, "Family Life" (Pirouet Records), is comprised of 15 pieces for solo piano and may bequietest music you'll hear this year. Yet, the intensity of melody and emotion that one hears in this music will touch you long after the last notes fade. Like the snapshots on the cover, the stories implicit in the music are of nights spent around the dinner table, of days walking in the woods, of sitting on a chair after the children have gone to sleep and listening to them breathe, of memories of parents and relatives who shape your life even after passing. It does not pay to explain the individual tracks; every listener will hear something in this music that will resonate in his or her life (I would be surprised if you could not or did not connect with this music.) Shut off the lights, turn off the computer, open the shades, relax -you might even fall asleep - but do not sleep on this music, an oasis in an ever-maddening world. 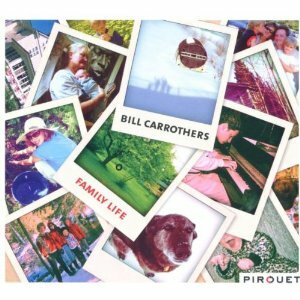 Check out Bill Carrothers website (listed above) or go to www.pirouet.com/home/album.php?release=PIT3063 to hear for yourself. Carl Testa, also a member of a number of Professor Braxton's ensemble, is the curator of the Uncertainty Music Series (held in various in New Haven - see below) as well as a solo artist. He creates works for acoustic bass and electronics that he calls "textural and melodic ambient music", drawing the listener in to a different yet engrossing sonic world. Testa also has performed with the members of Broadcloth separately and together as well as in a duo setting with experimental guitarist Christopher Riggs, in the works of choreographer Rachel Bernsen and organist/composer Brian Parks. Sunday's show is free and open to the public - for more information, go to www.carltesta.net. The day before the Wesleyan performance, Ms. Rhodes will debut a new work at 2 p.m. in the Charter Oak Cultural Center, 21 Charter Oak Avenue in Hartford. Commissioned by the Hartford New Music Festival, this fascinating piece is a combination of textiles and sound, an 8 foot by 2 foot piece of sliver burlap stretched over an artist's canvas frame on which Ms. Rhodes will embroider (in her words) "graphics... in the form of a flowchart, allowing the musicians to move through choose paths between cells of information." Scheduled to perform with the vocalist/embroiderer are cellist Bontrager, accordionist Matlock, bassist Testa along with Ben Klein (tuba), Bill Solomon (percussion), Maura Valenti (harp) and Libby Van Cleve (oboe). To find out more about Anne Rhodes work with design and sound, go to annerhodes.net/news/. The Uncertainty Music Series continues on Wednesday May 9 with a concert featuring the Scott Clark Quartet. Drummer/composer Clark and his group - saxophonist Jason Scott, trumpeter Bob Miller and bassist Cameron Ralston - are part of the burgeoning jazz and improvised music scene based in Richmond, Virginia. As one might deduce from the instrumentation, the band (formed in late 2010) was initially influenced by the classic Ornette Coleman Quartet on the late 1950s and early 60s. One can hear by the music on Clark's website (scottwclark.wordpress.com/listen/), the band has already begun to move into its own territory. The SCQ plays at 9 p.m. in Elm Bar, 372 Elm Street in New Haven. For more information and a look at the upcoming schedule (including a rare appearance by New Haven native guitarist Michael Gregory on Wednesday June 6), go to uncertaintymusic.com.